According to TripAdvisor reviews, Bali is considered as being the number one best travel destination in the world – an accolade that certainly doesn’t come easy. 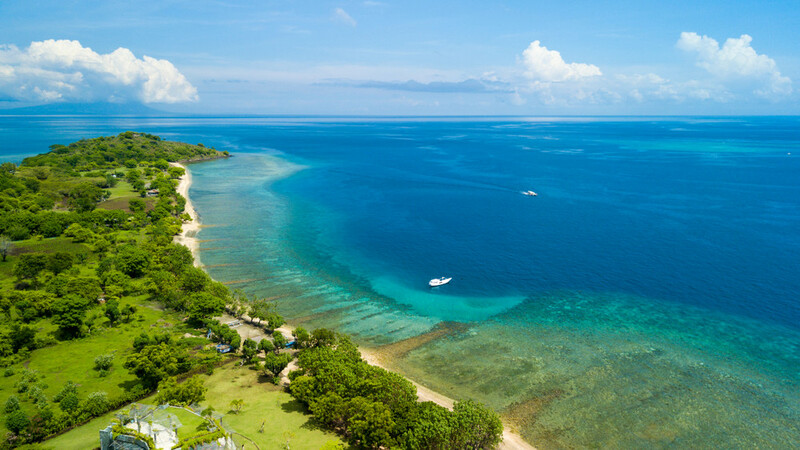 Though tourism in Bali has certainly had its ups and downs over the years, it is still a major bucket list destination for many wanderlusting adventurers. So why is it that even though Bali is no longer a new or undiscovered destination, it’s visitor numbers increase every year and do not falter? How has Bali sustained its number of tourists when the number of visitors to nearby “popular” spots of India and Thailand have seen substantial declines? In 2017, it was reported that Bali saw a record number of 5.5 million international visitors and we have a couple of ideas as to why that could be. Let’s face it. All of us would love to rent spacious villas that overlook our private infinity pools and miles of sprawling rice paddies as far as the eye can see when we travel but the unfortunate reality is that our budget often does not allow for that. The exception to that rule however is Bali. In this tropical Indonesian paradise, travellers can rent out entire luxury villa complexes and even hire their own chefs and masseuses for their time on the Indonesian island for prices equal to or lower than what they could rent a hotel room for in more western nations. Indeed, it isn’t just the accommodation that is low cost. 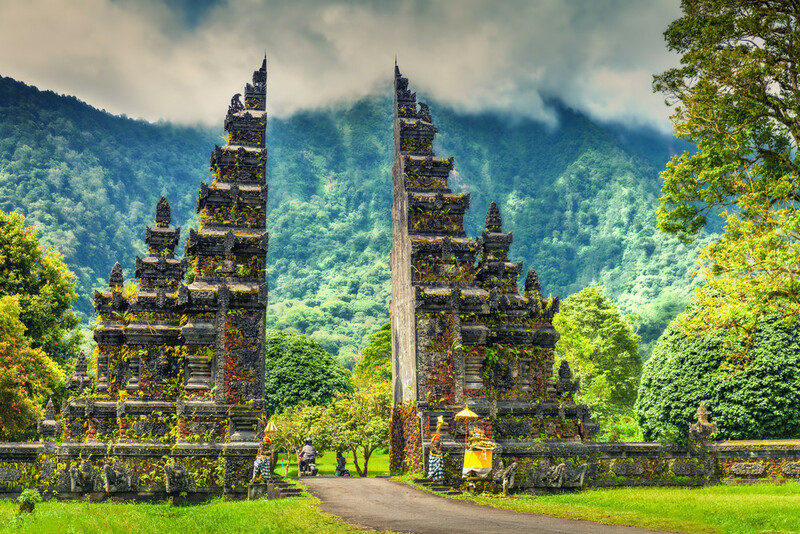 Travellers heading to Bali from various cities in Asia and Australia can take flights for less than $100, meals can be enjoyed for less than $2 and public transport costs less than $0.50. Few other destinations are so budget friendly. Many people associate the idea of travelling to Bali with lazing on a beach or sipping cocktails from a bamboo shack. In fact, there are a diverse range of activities to enjoy in Bali. The island boasts hot springs, hiking trails and quaint cultural villages such as the fishing village at Pemuteran. Though there is certainly more to Bali than simply its beaches, we confess that they are absolutely one of the island’s major draws. With miles upon miles of undisturbed coastline, each of the islands beaches has its own quirky personality and a different draw. 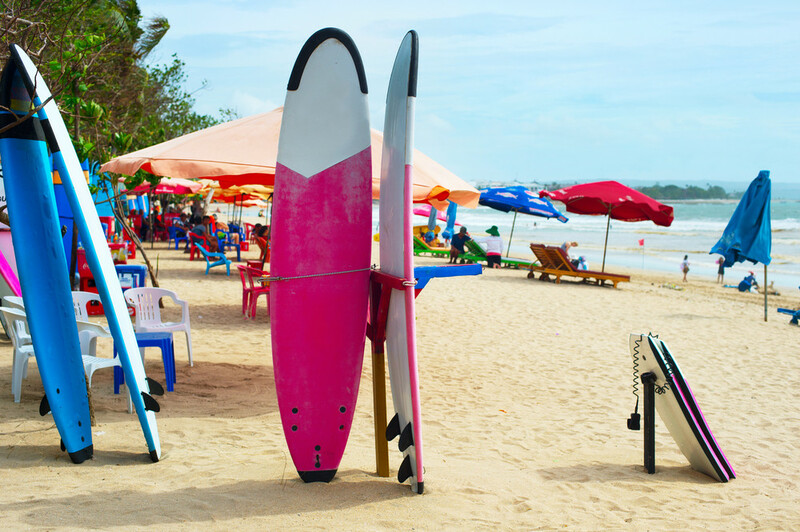 From the popular Kuta-Seminyak where travellers can try their hand at various watersports and other adrenaline pumping activities, to some of the quieter beaches that are perfect for relaxing and reflecting – such as Gunung Payung beach or the Yeh Leh mystery boulder beach. After word got out about the beauty of Bali, people from across the world ventured to the island to see it for themselves. Many of these people relocated to the island, often opening up restaurants and businesses in the region. With the rise of Digital Nomads and people opting to work remotely, there is a consistent flow of people deciding to base themselves in and around Bali. This makes for a unique culture where the warm-hearted Balinese live among people from all corners of the globe, and where first time or solo travellers can comfortably travel to Bali and know they will be greeted with plenty of like-minded peers and home comforts. 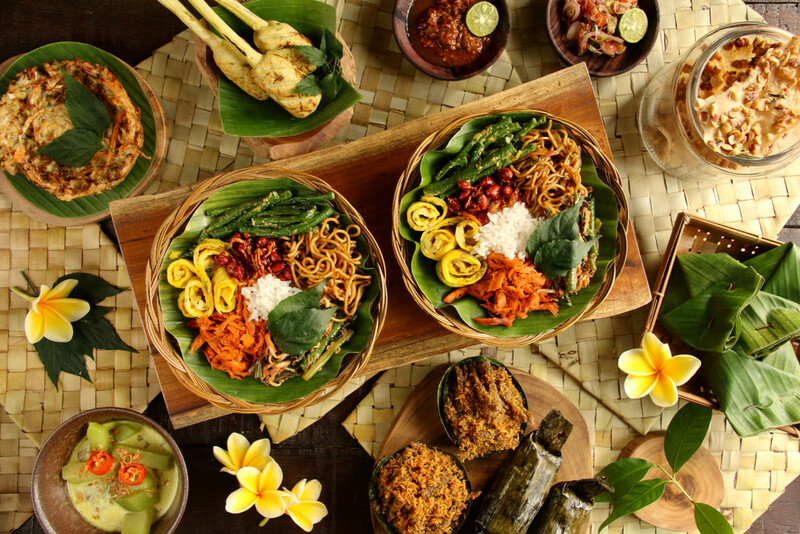 Balinese food is rich and flavourful. Arguably the best thing about the traditional dishes served up here is the fact that they utilise high quality, fresh produce that are sourced locally – fresh fish from Balinese waters and freshly picked fruit and vegetables. Sate lembat (the Balinese answer to Satay) is a great quick street food eat, yet the main courses (often curries or meat based dishes) will capture your heart at the first mouthful. Popular Balinese meal of rice with variety side dishes.